Pyrite, also known as fool's gold, is an iron sulfide from the sulfide family of minerals. It has an indistinct cleavage with a glistening, metallic luster. Pyrite has a rank of 6 to 6.5 on the Mohs scale of hardness which makes it too soft for widespread use in jewelry but it makes for a great rough specimen for any gem collection. Pyrite has a pale brassy-yellow color that turns dark and iridescent as it tarnishes. Pyrite is the most common of the sulfide family of minerals. Pyrite often acts as a pseudomorph in other minerals and sometimes even fossils, creating amazing golden fossils. 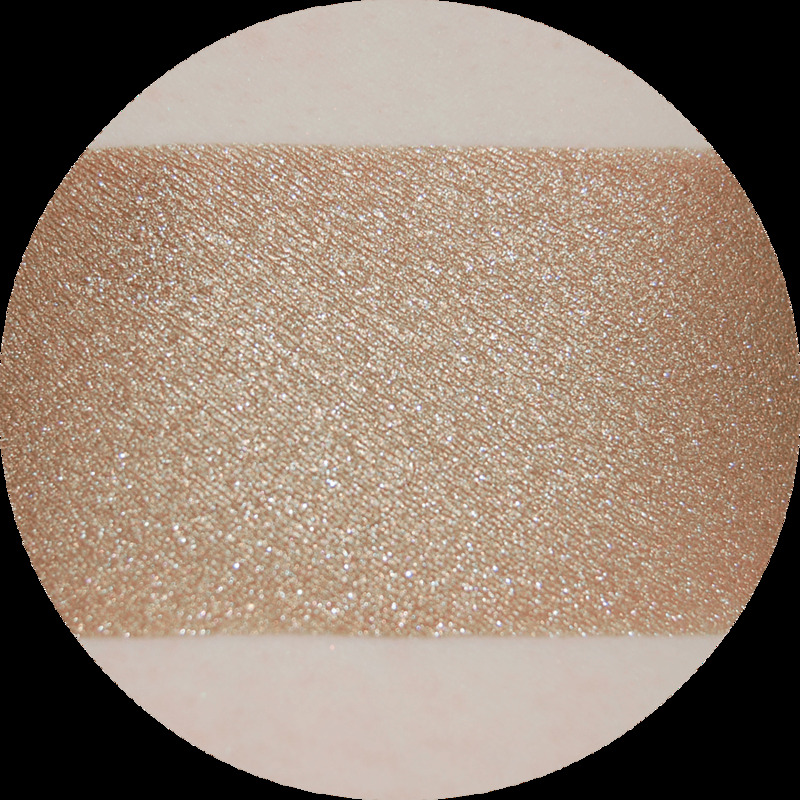 Perfidious Pyrite is a cool toned, soft tinned-gold bronzer with subtle honey sparkle. 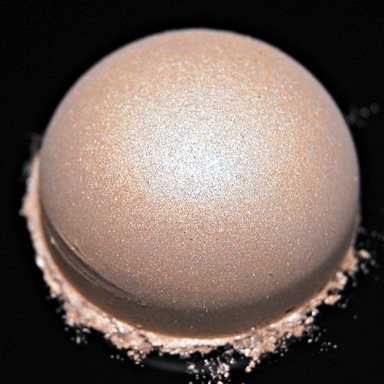 Perfidious Pyrite is shown stippled heavily over our Power Up Primer to show its base color as well as its sheen and sparkle. This beautiful multi-tasker is also useable as an eyeshadow. It can be used to add a touch of sun glow and sheen to the face, decolletage, hair, or anywhere else on your body you'd like a touch of bronze! You can even use it for contouring! Perfidious Pyrite is lip safe. Perfidious Pyrite contains metal alloy. Perfidious Pyrite as listed is in a 20 gr jar with sifter and screw-on lid.